I need a little assistance. I took off the power board and replaced the TZ chip with the Home 9.4 one. Now it wont boot up. The lights come on, and I hear the "ding" for errors but that is it. Any clues? I re-pushed the connectors and took photos before I started to ensure I replaced them all correctly. Thanks much everyone. not sure why you took off the board. However, if you put back in the old chip does the game boot? 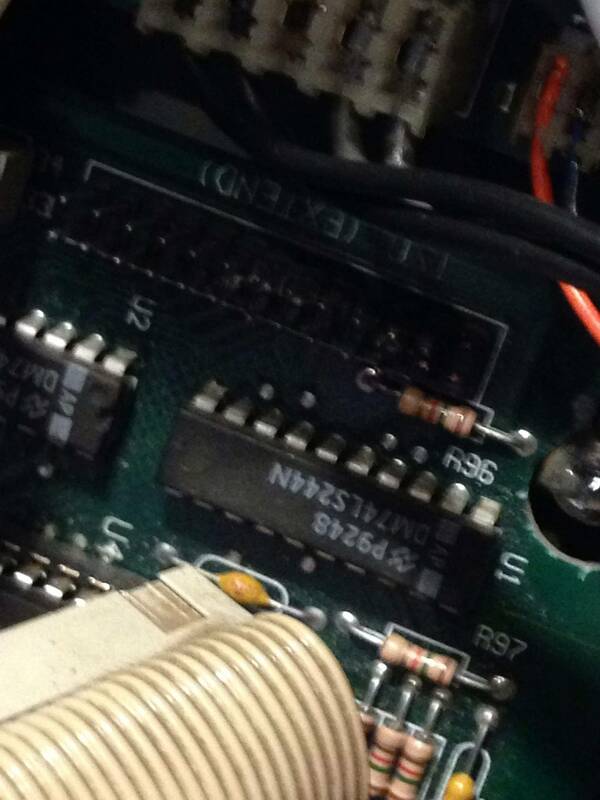 this will tell you if the new chip is faulty..
Make sure the ribbon cable between the DMD board and DMD is plugged in. Could be disconnected there. Are you getting more than one ding when it boots up? The bong is the sound board booting, you either have a cable off a pin somewhere or damaged the socket while changing roms. Or maybe you installed the roms backwards? Are you talking about taking off the power board or the MPU? image.jpgThanks a lot for all of the advice. I found the issue. 3 little prongs are analoed off the board. Do I send it off to coinop cauldron or any suggestions? Having a hard time understanding your text/picture. Are you saying that 3 of the male pins from the CPU board have been permanently attached to the ribbon cable and, hence, are no longer attached to the CPU board? In other words, are you saying that 3 or so pins have broken off the CPU board where it connects to the short ribbon cable? Are they bent, or completely broken?